The meaning of Ae-Cha is 'Loving daughter.' The name Ae-Cha comes from the Korean origin and is prim.. The meaning of Bong-Cha is 'Superior daughter.' The name Bong-Cha comes from the Korean origin and i.. The meaning of Chin-Sun is 'Composed of characters meaning "precious" and "goodness".' The name Chin.. The meaning of Choon-Hee is 'Spring girl.' The name Choon-Hee comes from the Korean origin and is pr.. The meaning of Chung-Ae is 'Righteous love.' The name Chung-Ae comes from the Korean origin and is p.. The meaning of Chung-Cha is 'Righteous daughter.' The name Chung-Cha comes from the Korean origin an.. The meaning of Eun-Kyung is 'Composed of elements meaning "silver" and "graceful".' The name Eun-Kyu.. The meaning of He-Ran is 'Grace and orchid.' The name He-Ran comes from the Korean origin and is pri.. The meaning of Hea is 'Grace.' The name Hea comes from the Korean origin and is primarily given as a.. The meaning of Hee-Young is 'Pleasure, prosperity.' The name Hee-Young comes from the Korean origin .. The meaning of Hei is 'Grace.' 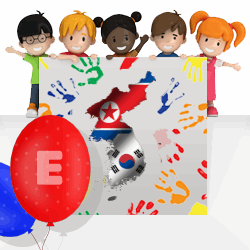 The name Hei comes from the Korean origin and is primarily given as a.. The meaning of Hyo-Sonn is 'Daughterly and gentle.' The name Hyo-Sonn comes from the Korean origin a.. 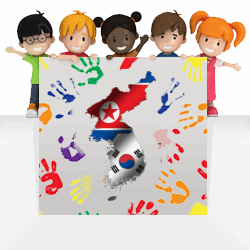 The meaning of Hyun-Ae is 'Composed of elements meaning "smart, clever" and "loving".' The name Hyun.. The meaning of Hyun-Ok is 'Composed from elements meaning "clever" and "pearl".' The name Hyun-Ok co.. The meaning of Jin-Kyong is 'Composed of elements meaning "jewel" and "brightness".' The name Jin-Ky.. The meaning of Kyung-Soon is 'Composed of elements meaning "honored" and "gentle".' The name Kyung-S.. The meaning of Mee-Kyong is 'Composed of elements meaning "beauty" and "brightness".' The name Mee-K.. The meaning of Mee-Yon is 'Composed of characters meaning "beauty" and "lotus blossom".' The name Me.. The meaning of Mi-Cha is 'Beautiful girl.' The name Mi-Cha comes from the Korean origin and is prima.. The meaning of Mi-Hi is 'Beautiful joy.' The name Mi-Hi comes from the Korean origin and is primaril.. The meaning of Mi-Ok is 'Beautiful pearl.' The name Mi-Ok comes from the Korean origin and is primar.. The meaning of Myung-Hee is 'Bright girl.' The name Myung-Hee comes from the Korean origin and is pr.. The meaning of Myung-Ok is 'Bright pearl.' The name Myung-Ok comes from the Korean origin and is pri.. The meaning of Sook-Joo is 'Composed from characters meaning "purity, clean" and "jewel".' The name .. The meaning of Soon-Bok is 'Gentle and blessed.' The name Soon-Bok comes from the Korean origin and .. The meaning of Sun-Hi is 'Obedience and joy.' The name Sun-Hi comes from the Korean origin and is pr.. The meaning of Young-Il is 'Superiority forever.' The name Young-Il comes from the Korean origin and.. The meaning of Haneul is 'Heaven and sky.' The name Haneul comes from the Korean origin and is a nam.. The meaning of Hyun is 'Wise.' The name Hyun comes from the Korean origin and is a name given to gir.. The meaning of Iseul is 'Dew.' The name Iseul comes from the Korean origin and is a name given to gi.. The meaning of Jung is 'Affection.' The name Jung comes from the Korean origin and is a name given t.. The meaning of Yong is 'Bravery or courage.' The name Yong comes from the Korean origin and is a nam.. The meaning of Young is 'Forever unchanging.' The name Young comes from the Korean origin and is a n..